Child Fare 2-8 years old: $180 USD per person. Includes: Guide, Entrance fee to the National Park, Boat trips, Lunch box, Fruits. 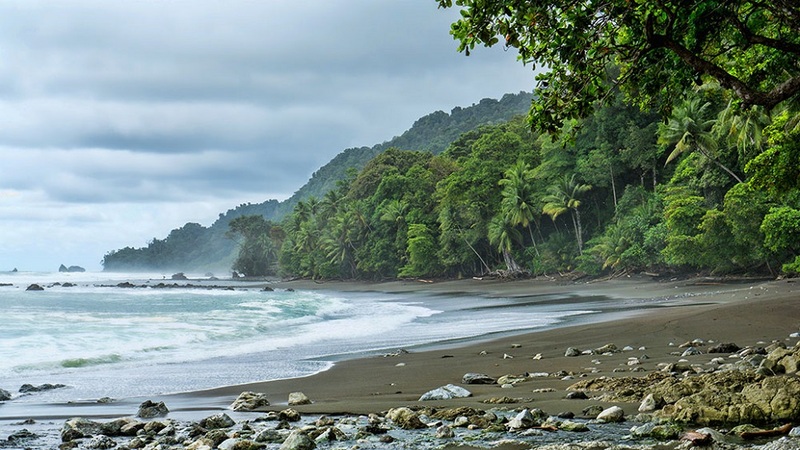 Experience the rich biodiversity of Corcovado National Park. Spot dolphins and sea turtles during your boat ride along the Pacific Coast to the San Pedrillo Ranger station. Your Corcovado Expeditions bilingual and naturalist guide will lead a 3-hour hike through the primary and secondary forest, locating and explaining the extensive rainforest wildlife and flora. See four types of monkeys, coatis, sloths, anteaters, and much more. Bird lovers will be enchanted by the wide variety of birds including tanagers, flycatchers, trogons, and spectacular scarlet macaws. After lunch, at the park ranger station, take a second shorter hike to a beautiful waterfall. Bring your bathing suit for a refreshing swim in the cool, clear water! Note: Hours may vary, this is an example. Tour subject to weather conditions. To Bring: Insect repellent, light clothing / shorts, trekking shoes, binoculars, camera, raincoat.